Winner of the Freeplay Award for Best Game Writing. Out now on Steam and the App Store. Play Now! From Brawsome, creator of Australian Game of the Year Jolly Rover. When fugitive magician Lucas MacGuffin bungles a museum robbery, he finds himself bound to an ancient amulet, trapped in a city in high-tech lockdown, and suddenly fighting the urge to scratch himself. As a human, Lucas is agile and cunning. 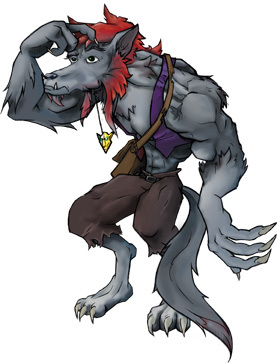 As a gigantic wolf, he’d rather smash anything in his way. Only by transforming between the two forms, cleverly utilising both sets of skills, will he stand any chance of lifting his curse. Along the way he’ll need to befriend a hilarious cast of characters, convince the city its most beloved citizen is a terrifying criminal mastermind, and hardest of all, teach his daughter it isn’t funny to fill the fridge with dog food. This addictive puzzler will win over casual and seasoned players alike. Gamers on the go can enjoy a quick, fun fix, with a seamlessly integrated hints system to keep them moving. And veteran adventure game fans will be hooked by the razor-sharp dialogue, treasure-trove of secrets and engaging story. With charming hand-drawn art, quirky quests and insanely catchy music, MacGuffin’s Curse is a story brimming with humour, personality and heart. Switch between wolf and human forms to solve 150+ inventive and rewarding puzzle rooms. Combines the logical challenges of the classic top-down video games with the quick-witted dialogue and sidequests of a vintage point-and-click adventure. Thousands of lines of comedic dialogue and descriptions. You’ll want to examine each and every park bench! Challenge without frustration! Stuck on a room? P.I. Strump is on the line to help you along (between insults) with a multi-level hint system. Playable casually in tiny bursts, or as a sprawling full-length adventure. No shoddy ports! 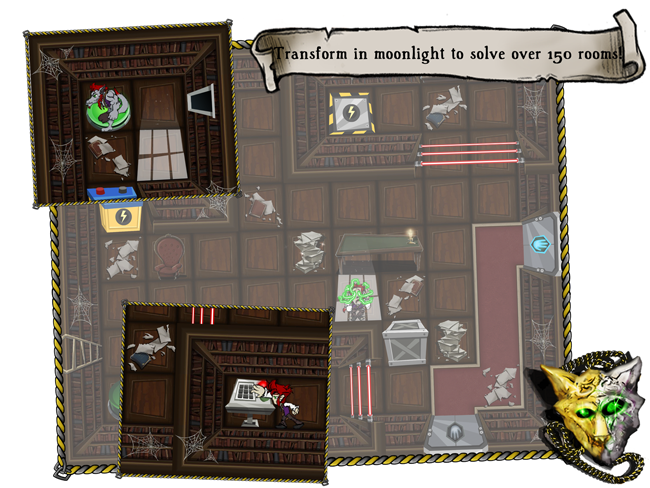 MacGuffin’s Curse was developed simultaneously for PC, Mac, iPhone and iPad. A rich, compelling world – explore the surreal nightlife and history of an ancient carnival city in high-tech lockdown! An insanely catchy soundtrack spanning spooky strings, acoustic gypsy power-rock and retro chiptunes. Unlockable Comics, Post-Game Challenges, Easter Eggs, Commentary and other bonuses to keep players coming back long after the credits have rolled!